Follow Rebecca's year as International President on her official Facebook and Twitter accounts. Welcome to our April 2019 Leadership Hotline, highlighting recent and upcoming activities for Optimist leaders and Club Members! Our 2019 International Convention is June 30 to July 3, which is sooner than you think! 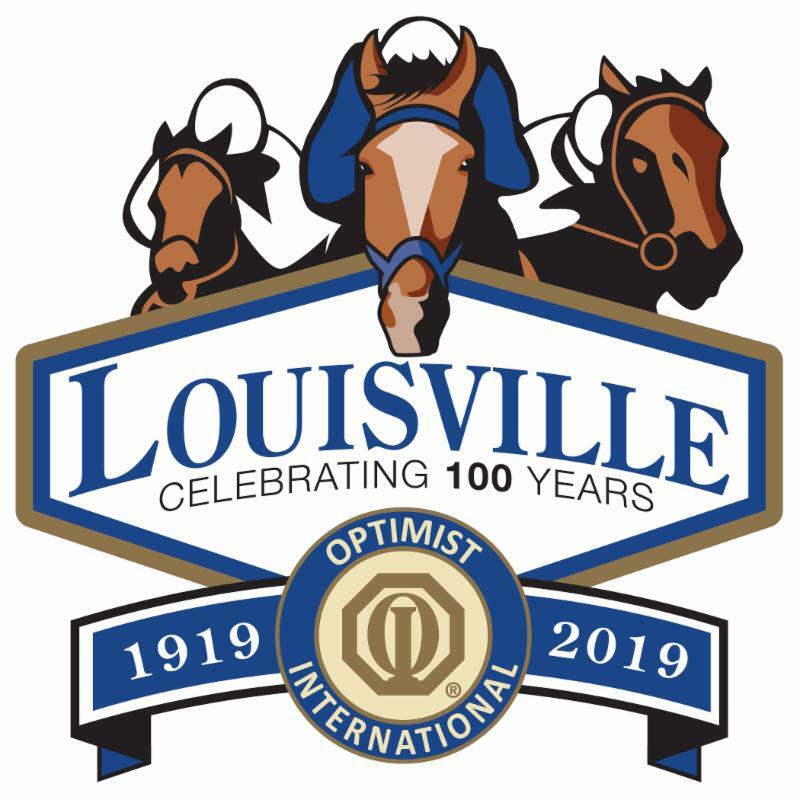 ﻿Visit www.optimist.org/convention for details including agenda, travel information, housing updates, Louisville Attractions and who is registered. ﻿For more information, contact us at convention@optimist.org . Like last year, there will be pre-registration for all training sessions offered at the Convention. This process started last year and has helped shape the training sessions that are being offered this year. This pre-registration process offers advantages in that, if an attendee is signed up for a training session, they will receive the handouts for the session as long as they are in the session no later than five minutes after the session starts and stay for all of the training. Additionally, if a particular session cancelled before the convention begins, the attendee will be notified and can choose another session to attend. In addition, the pre-registration process will help attendees plan for training sessions that will best benefit them as individuals and as a result, provide the best training opportunities overall to meet their needs. This process does not mean that convention attendees cannot choose which sessions they would like to attend once they get to convention. It simply means that there will not be any handouts available for them until after they return home following convention. Any attendees may request the handouts after convention and they will receive a link to a Dropbox folder to download any of the handouts they would like. Because your feedback for the success of future training and workshop sessions is very important to us, we want to encourage you to complete an evaluation for every session you attend at our 2019 International Convention in Louisville. For that effort, we will have two drawings, and are awarding free 2020 Convention registration to Chicagoland to the winner of each drawing. 1. For the first drawing: When you complete and submit an online evaluation on your smart device and show us the confirmation code you received after doing so, you will receive one raffle ticket to put in the raffle drum. 2. For the second drawing: If you pre-registered for any of the training and/or workshop sessions you will receive a ticket for each of those sessions in your registration packet with your name on it to put in the raffle drum. Please be sure to complete each raffle ticket with your name & address and turn them in along with your session ticket(s) at the Leadership Development Service Desk to be put in the drum(s). The Leadership Development Service Desk will be located on Conservatory/Skywalk on the third floor in the Galt House. We will be drawing the winning Raffle tickets at the business session on Wednesday morning. Junior Golfers are looking to play in qualifiers with dreams of playing in the Optimist International Junior Golf Championship in July. Golfers must qualify through an Optimist qualifier unless they are eligible through an exemption. A junior golfer can play in more than one qualifier. At each qualifier, a limited number of golfers in each division will advance provided they shoot the minimum qualifying score. Please check with the District Chair for details. Optimist Districts and Clubs may provide financial support to the winners. The amount of financial support provided and the age divisions covered varies by District. We need help from the Districts and Clubs to make it affordable for these Junior Golfers to attend. For more information about Optimist Junior Golf Event and information on District qualifiers, visit www.optimist.org/golf. Volunteers, donations and sponsorship are needed. Contact Optimist Junior Golf at (800) 500-8130 ext. 207 or email golf@optimist.org. See where your District qualifier is located click here. Map of all qualifiers click here. The 2018-19 International Membership Committee is encouraging all Optimist Clubs to participate in “targeted recruitment” each month of this Optimist year. While all Members are valuable; this calendar will hopefully encourage Clubs to seek new Members in areas that they may have overlooked. April's group to recruit is: Past Participants of Optimist Programs, and their Parents. Remember that great Oratorical winner, Junior Golfer or Scholarship recipient? The beneficiaries of Optimist Club programs and their parents are a great source of potential membership. Ask parents to join the Club that has offered these opportunities to their children. Encourage youth participants to join Junior Optimist International or join as an adult member when they turn 18. Is there really a difference between a job and a title? If so, what is it? Job or Title, what are the implications? 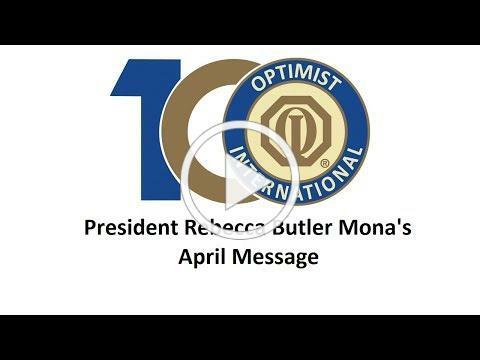 To be President of an Optimist Club or even just a Member, is it a job, a title or both? We will explore some of the known & unknown forms, reporting, tracking, etc. 8 causes of procrastination and how not to waste your time. 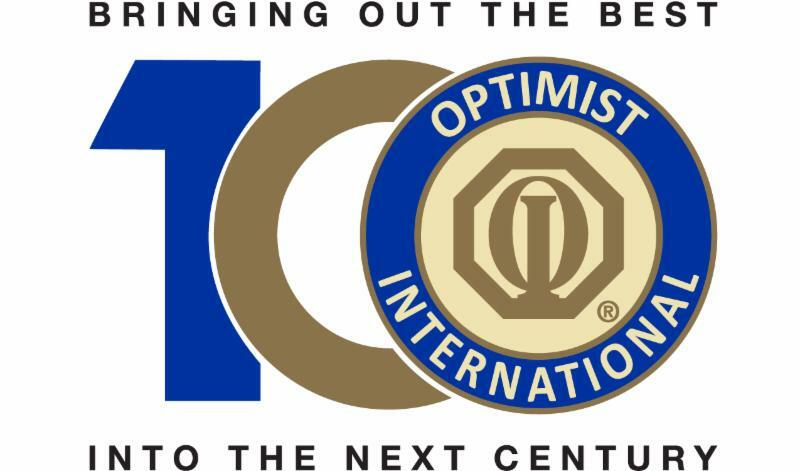 The Optimist International Foundation has launched the 100th Anniversary Commemorative Coin to celebrate OI's Centennial. This keepsake coin will be a special addition to any Optimist’s collection. This high-quality memento will be a 1.5-inch bronze coin featuring our Centennial logo, resting in a blue velour box, available for a donation of $100 (USD). The proceeds from the 100th anniversary coin will be dedicated to help launch a new Optimist International eﬀort: the Childhood Health & Wellness program. The Reel Optimism video contest is your chance to get your Club on the silver screen! Or, at least, the computer screen. Deadline for submissions is April 20. Visit www.optimist.org/reeloptimism for more information. Canadian Children's Optimist Fund: Did you know? Scholarships awarded to the Canadian District’s winners of the Optimist oratorical, essay and CCDHH contests are funded by the Canadian Children’s Optimist Foundation. Each year, your Foundation disburses $10,000 for scholarships to every Canadian Districts. This could only be achieved thanks to your donations. Are you thinking of joining us in Lousiville? Please visit www.junioroptimist.org and click on joiCON to see the latest Convention schedule. Rooms are filling up fast so make your reservations at the Galt House as soon as possible. Our Global Spotlight newsletter keeps you informed on our successful Clubs outside of the U.S. and Canada. Click here for the latest version of the newsletter, with updates on Clubs in Jamaica, and potential leadership events in Africa and Asia. The Board of Directors recently adopted three Volunteer Release Waivers that Clubs should use when utilizing non-member volunteers for Club projects. The Board and Optimist’s legal counsel strongly encourage Clubs to use these waivers as a tool to protect the Club and Optimist International from legal liability should one of these volunteers get hurt, causes harm, or put the Club at risk in some manner. These Waivers can be downloaded from this email and on www.optimist.org under Board of Directors Policies in the Legal section. Attention to all Canadian clubs and members, these forms are currently being revised to reflect Canadian jurisdiction. A specific newsletter on this topic will be sent when the files are ready. ﻿Each Optimist has a story to tell - it could be how you got involved, why you are still an Optimist, or an inspirational moment you had at an Optimist event. We want to hear your story! Submit an Optimist Story here . Video and written stories will be shared throughout the year on social media. Centennial merchandise may be purchased at our official suppliers. Members outside of the U.S., Canada and the Caribbean may order from either vendor.